After this training you are familiar with the Lean and Six Sigma methods. 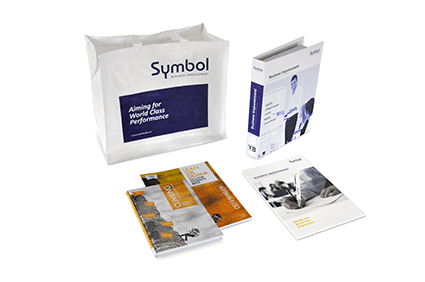 You are able to tackle problems in your own environment in an effective way with simple Lean Six Sigma instruments. In addition, as a team member you can make a full contribution in a larger project because you know the language and the approach. The load for self study and for this training is around 24 hours. 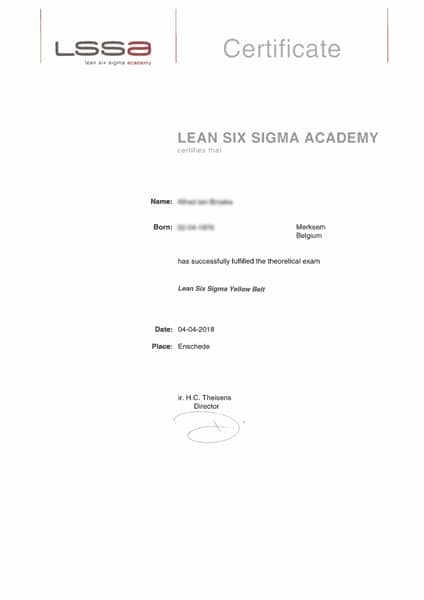 It is also possible to take the Lean Six Sigma Yellow Belt training as a blended version. Instead of 3 days of class training, you take 1 day of class training, combined with self study. You receive a code to log in in the electric learn environment (ELE), where you get access to all presentations, books and exercises in digital form. The topics that are being treated are equal to regular class training. In the ELE you can keep contact with other students and with the trainer. First, you run through the digital program. Thereafter, in the class sessions, the focus will lie on interactive sessions, serious gaming and the treatment of topics the participants had a hard time with. After the training, you will still have a year access to the digital content. What is the content of the Lean Six Sigma Yellow Belt training? In the open schedule this 3 day Lean Six Sigma Yellow Belt training costs € 1495,- per person. Mostly this training is given incompany. Contact us for the possibilities via 053-2030240 or via our contact form. Course participants assess our Lean Six Sigma Yellow Belt training with a 8.6 out of 10 stars. Based on 243 reviews.